One minute, the shark was just swimming along. But the next moment, he was being yanked out of the water by his tail and dragged up onto the hot beach. A crowd of people gathered around the helpless shark to snap photos while he laid in the sand unable to breathe. The animal had no way to escape back into the water. 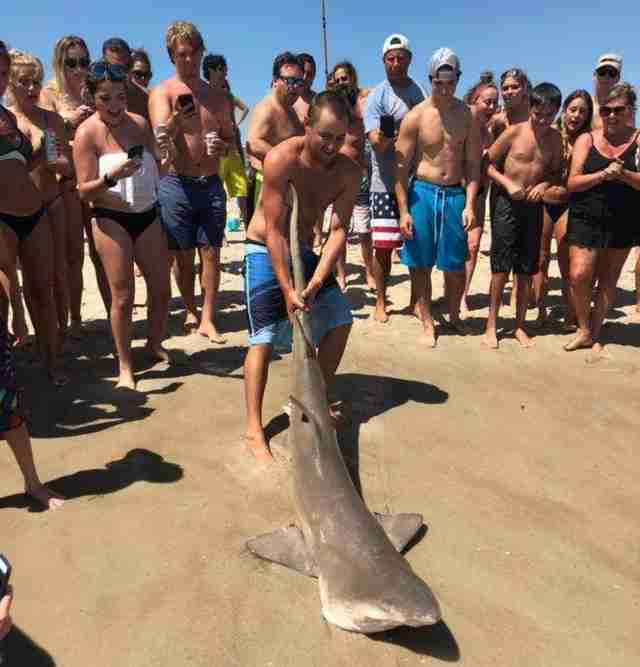 This was the scene last week on a beach in Fire Island, New York, after a man caught the sand tiger shark while fishing. Although the shark was eventually put back into the water, it’s illegal to pull protected species up onto the beach — and conservationists say the thoughtless stunt very well could have cost the animal his life. “This shark should not have been pulled from the water like that,” George Burgess, director emeritus of the Florida Program for Shark Research at the Florida Museum of Natural History, told The Dodo. “There’s no doubt it was pretty hot out when that picture was taken, and once out of the water, sharks can not breathe." In addition to the risk of suffocation, being pulled from the water can cause internal injuries. Seeing the animal swim off after snapping photos of it onshore doesn’t always mean they will survive afterwards, Burgess said. 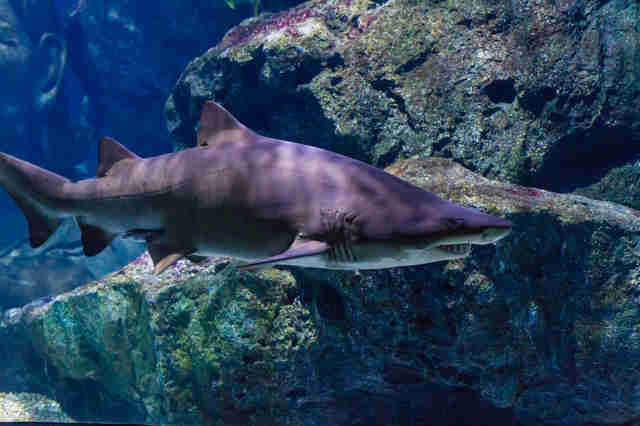 Earlier that week in the area, two children sustained non-life-threatening bites from sharks while swimming offshore. Unfortunately, Burgess said, it’s likely the bites are what could have prompted the man to treat the animal in this manner. 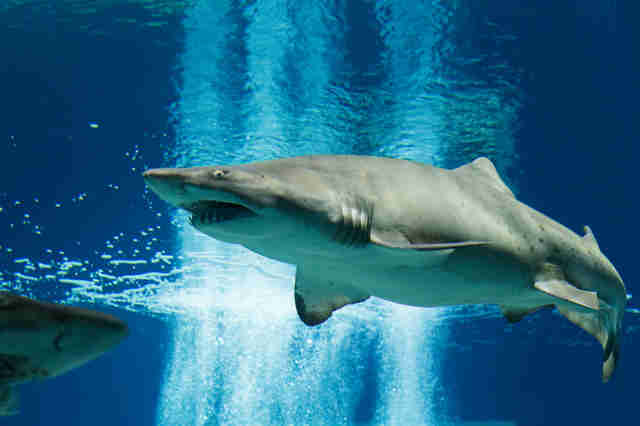 Sand tiger sharks are a species that regularly hunt schools of fish such as herrings. Sometimes, the bounty of fish can lead them into shallow waters where people are swimming and the sharks can mistakenly bite people. 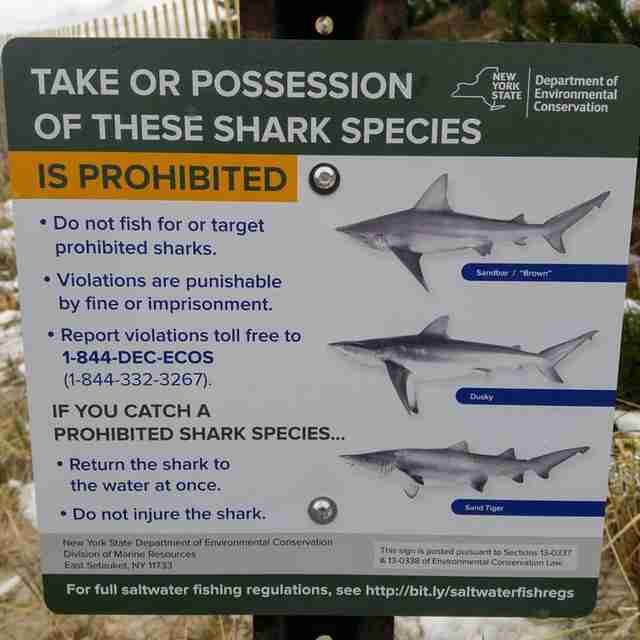 The law requires fishermen to release the sharks right away if they’re accidentally caught. Removing the shark from beyond the surf zone and delaying its release for photos, such as in this situation, is prohibited, according to the DEC. Since a photo of the incident quickly went viral, many commenters have voiced concerns for the shark’s well-being. After seeing situations like this unfold summer after summer, Burgess was glad to see that so many people recognized right away that this wasn’t a safe encounter for the shark. To help protect sharks in the wild, you can make a donation to Sea Shepherd.